The distance between then and now is filled with the wonder of remembering what happened on the night. On how it amazing it felt being amongst all that sound; gently passing one idea on to one another and finally all arriving at the same place, looking at each other and listening and thinking and……………then it’s done. I leapt at the chance of getting to work with Lucy and her recordings again. Getting to play with Rattle was, quite frankly, amazing. I am so happy that this happened and thank everyone that made it so. Recently, over the course of a week or so, I’ve stumbled across three things that have lead me to posting this. The first was a tweet from the excellent La Cosa Preziosa from her Twitter stream here. She posted a link to a short Film Board of Canada film from/about R. Murray Schafer. It’s called Listen and it’s pretty fascinating. A few days later John Rushton of wearealtered and make recordings posted a great link to some work that Sound and Music are doing in schools in the UK. 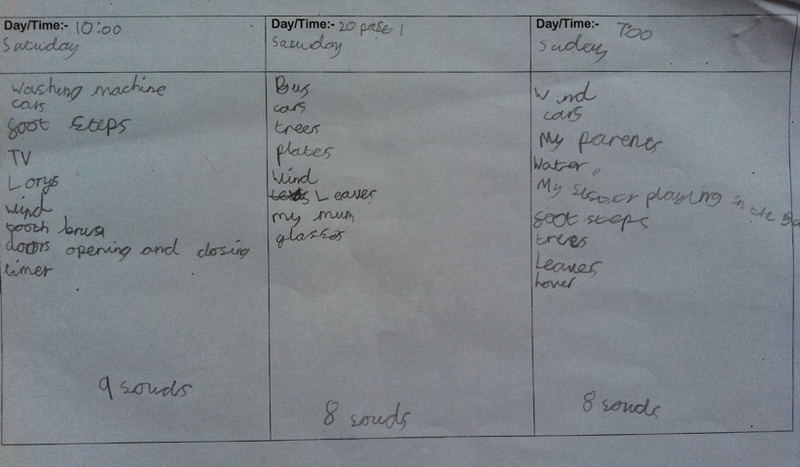 The idea is to get children to listen to 60 seconds worth of audio a day and then get them to talk about it – their thoughts, experiences, ideas and so on. 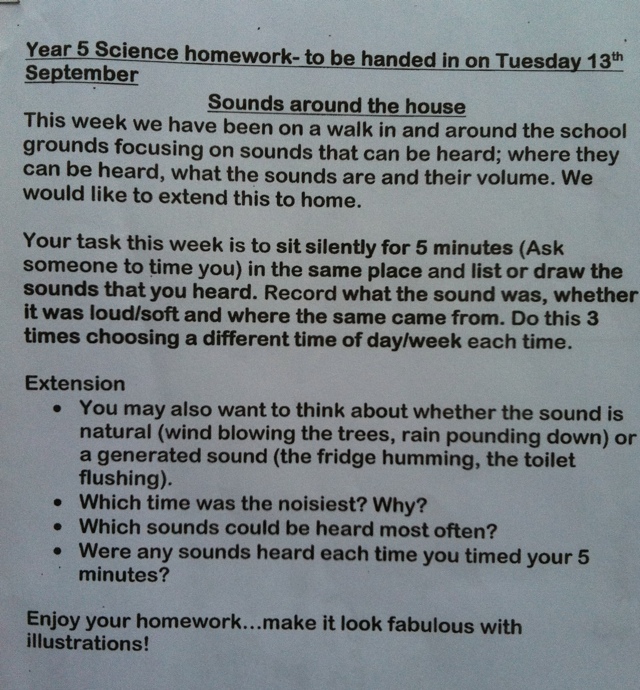 Then, this weekend just gone, my eldest daughter’s homework was to listen to the sounds around her from a specific point for five minutes at three different times across the weekend. She sat on our front doorstep and noted down the things she heard. This is something we don’t do enough of, particularly musicians and all those people that tell me ‘they love music’ – when was the last time you dedicated specific time to listen to something – be it music or the sounds around you? I’m betting it was a long time ago. We tend to do a lot of hearing but very little listening. The Sound and Music article contains the following words. Listening, and the way we experience sound, has a huge impact on our lives. Yet in a predominantly visual culture time is rarely dedicated – particularly in schools – to exploring our aural experiences and developing our ability to listen in a concentrated or imaginative way. Minute of Listening aims to highlight the importance of listening and create a structured, daily activity that allows teachers the time and the means for their class to explore the joys of listening. I think it’s a really good idea that could benefit all of us. Try it.